Fairytales and Fitness: What are the Best Fuels for You? Happy Friday folks! 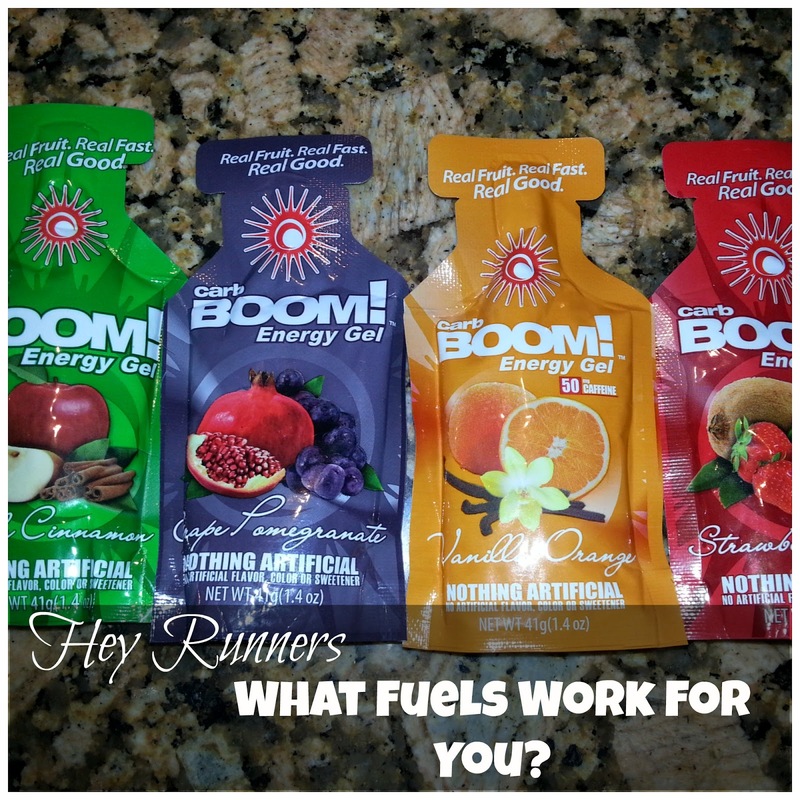 We are linking up with the Friday Five where the theme is all about running fuels. Since there are two of us, we've found that what works for one of us doesn't necessarily work for the other one of us! So here are some things that we've tried and what we thought. Maybe you will be able to find something new to try too. 3. Powerbar Fruit Pouches and fruit pouches from other brands-Easy on the stomach because it is very similar to baby food. Also very easy to eat on the run. Not so easy pack on a run though. What is your favorite fuel? Is there a certain kind that you stay away from? I've never heard of Boom- but I like that it doesn't have anything artificial. I'll have to look into that! I'm also a big nuun fan. Drinks and gels are my favorites during a race because they go down fast, unlike chewy food like the gummies you mentioned that also take a little more energy to get down because of the chewing factor. Every little bit of energy counts during a race! Haha, i'm glad you understood my thoughts on the chewing! I just don't feel like I have the energy for that on a run! I tried the PowerBar Gummies for the first time before the B.A.A 5K and they were pretty good. I also have a difficult time chewing the gummies (I usually have a Clif Blok). I love the Honey Stinger gummies but didn't like the one waffle I've tried. I think maybe I should get a few different flavors to give them another try since I keep reading so many people who just love the waffles! I've never tried the HS gummies! Which flavor waffle did you try? I cannot tolerate the consistency of GU wish I could. The carb boom sounds like maybe it would be better. I really like the Cliff shot blocks. Might have to go around the expo today and taste stuff! There is another type of GU type product called Island Boost. It is MUCH thinner consistency than GU but gets the job done! I've never tried any of these. I usually stick with Clif shock bloke or their gel. I actually stay away from all this kind of stuff. 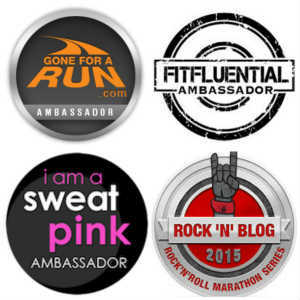 If I am running a marathon, I don't generally need fuel as long as I fuel properly in the days and hours before the race. I will drink Gatorade and take salt tablets though. For trail runs or ultras when I am out for 4+ hours, then I prefer real food. PBJ is really good for me for a long trail run. On one of my ultras, I even ate a slice of pizza and felt great! Never heard of Boom. Will have to check them out. I keep meaning to try Nuun. I tried VegaSport gel and it made me very sick. I've heard so much about Honey Stingers but never tried it. Will have to look into it. Since I got cliff shot blocks at the expo last weekend, I'm thinking of trying them on my long run this weekend. I haven't experimented with any runner specific fuel yet so hopefully this goes well! I usually use a combination of Gu gels and Clif shot bloks. I love being able to chew the bloks during a walk break. They're just perfect! I've had time trying to find something that works and doesn't give me a cramp. I have only used sport beans a few times and sometimes they are okay, but i have cramped with them as well. Gu's and jels seem to gross me out lol I can't get them down. I love the Honey Stinger energy chews, but I've yet to try the waffles! I've seen lots of posts today that include them in their list; I may have to try them soon. Thanks so much for sharing some of your favorites and I hope you have a great weekend! I'm definitely a gummy person. I can't chew them when running either so every time during a race, I peel off to the side of a water station and eat my portion while I drink water. I haven't actually heard of any of these. I always try to stay away from anything artificial, as my body just doesn't cope well with it. I love Nuun! I take it with me on long runs, and drink it during the day too. I use Shot Bloks and GU most of the time, though GU is much easier to take during a race. Yea I agree, GU for races and use shot bloks on training runs since it takes longer to eat. I don't normally drink Nuun unless I am running. I can never find it anyone other than expos. Amd lately they haven't been at the ones I were at. Honey stingers are winning in this round... seeing it everywhere. I need to try Nunn... I bought some - never used it yet. I love Nuun! Also GU - both the gels and the chomps. Clif Shot Bloks, but only in the early stages of a long run because otherwise I, too, can't seem to chew them enough. My husband likes the Honey Stingers, but they are too dry for me. I tried a couple of Sharkies recently on a long run with a friend - she loves them and I was intrigued. They are a gummie but softer and easier to chew than, say, the Shot Bloks. I have never heard of Boom! And I LOVE my honey stinger waffles for sure! I haven't heard of that either unit my friend recently became an ambassador for them. They are so tasty. I hope to fins them at expos. The waffles are good but I find that they are hard to pack for a training run without it falling apart. I love Nuun, PowerBar Performance Blends, and Shot Bloks... really anything gummy for me, too :) I generally steer clear of the gus, as the texture bothers me. So agree with you about Nuun not having sugar being a big plus! I feel like I can drink it in my water whenever I want and I'm not "drinking my calories". Glad I found you through the link up! Yes it is a great alternative rather than drinking other sugary beverages. Thanks for checking us out! So I've never actually bought any of these but I always snag some at the end of races and I love Clif Blocks! They are sooo so good. If I ever trained for a marathon I'd for sure look more closely at this kind of fuel but otherwise I don't do well running with anything in my stomach. I also like Nuun, but only before or after a run. I also use predominately GU gels, because they don't upset my stomach and seem to give me a good burst of energy! GU are the easiest for races that I use. But on training runs I don't mind trying other things for a change. i like honeystinger products as well. never heard of boom - may have to try it! Yes check it out. I recently was introduced to them. They have some great flavors. I love Honey Stingers Pomegranate Passion Fruit. 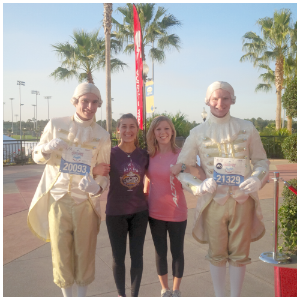 I popped one in my mouth every mile at today's half marathon, and they worked perfectly for me! I've never tried the Honey Stingers waffles, but my friend swears by them.